Have you ever travelled, my friends? Have you ever packed your bags, left home, returning months later? Or not at all? With a nervousness that travels from the soles of your feet to the soles of your feet to the whites of your eyes, borded a plane, feeling as if every atom in your body was quivering? I have. 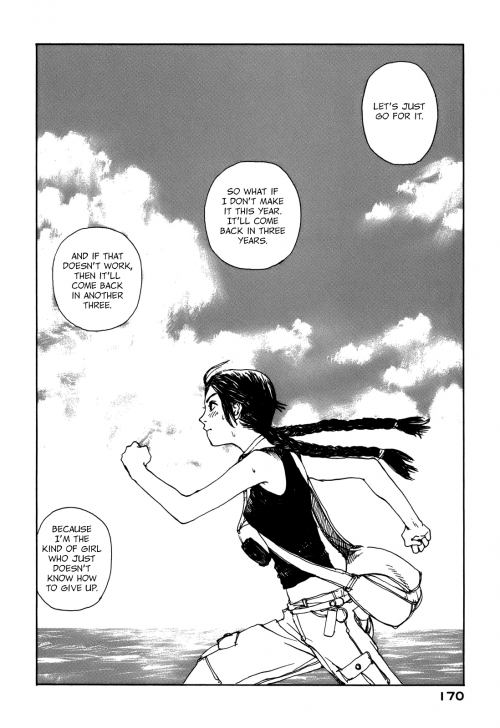 Tsuruta Kenji’s protagonists – wandering girls – have as well. 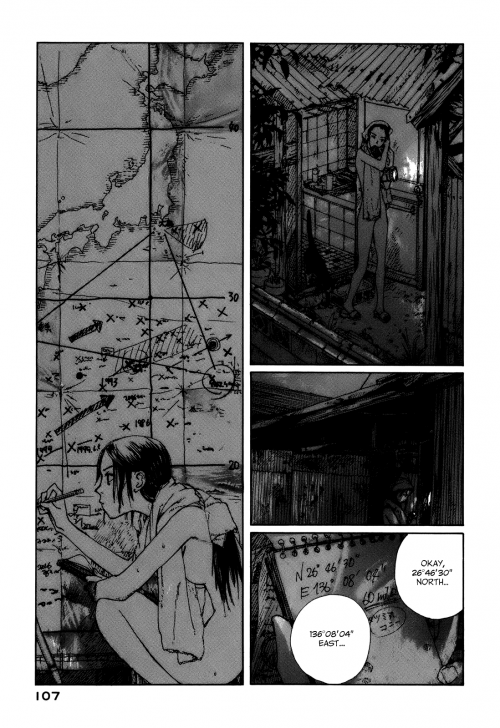 Memories of Emanon, perhaps Tsuruta’s most prevalent work amongst the anime community, follows the strange creature known as Emanon. A chain smoker, and always female, Emamon – backward for “no name” is a vessel for all the memories of previous Emanons, all the way back to the Cambrian period. As each Emamon gives birth to a child, the memories are passed on, and the previous Emanon becomes an empty shell. Simultaneously, the new Emanon, only a child, begins her journey. With no end in sight, Emanon roams the globe, observing, encountering, and always, always, moving on before she makes more than a tenuous connection. A deeply mysterious entity, Emanon is ultimately human, seeking out the reason for her unique existence, and trying to make sense of her role in the world just as much as anyone else. Unlike many, she doesn’t travel with a particular purpose in mind, and nor does she hope to gain anything from it. In a rather beautiful stroke, Tsuruta Kenji never judges Emanon, only documents a connection with some greater logic in the universe. 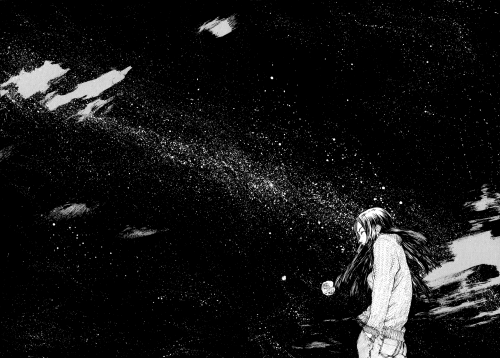 Emanon always travels alone – in the sequel manga, Wandering Emanon, it’s revealed that she, in fact, abandons a brother in one of her incarnations to do so – and in this way is a completely untainted viewpoint on the universe. Emanon makes this observation herself – that perhaps her role is simply to observe. ..even when I’m not taking pictures, I’m taking them with my eyes, with my ears, with my sense of touch. I’ll never forget the sounds of Tokyo, nor the feeling of sinking into its streets, and following its heartbeat. Travelling alone is magical, though most of my trips aren’t done this way. If I have any advice for you, reader, it’s to take the top country on your travel “to-do” list, and go there, alone. Going to Japan alone, nearly 2 years ago now, felt like I was a piece of paper unfolding. Suddenly, there was twice as much of me facing the world, taking things in, recording. It’s a sensation I miss every day. I normally travel with someone I love dearly, but I never lose the urge to travel alone. I’m sure it’s as frustrating for him as it is for me. .. but ultimately, draining and life-ruining endeavour. 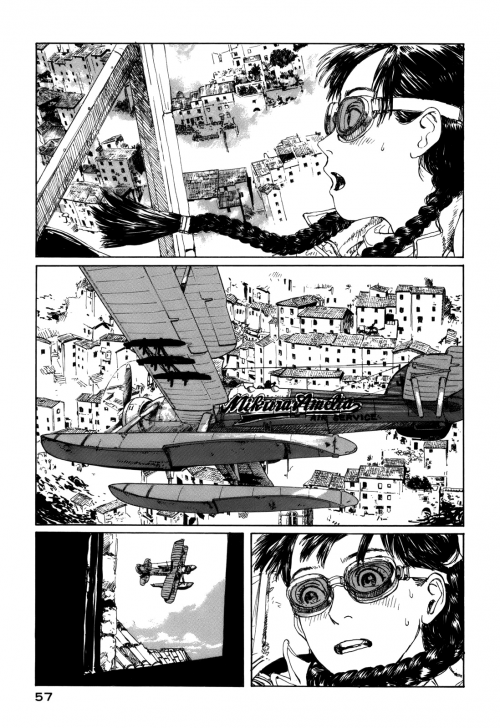 The teenage Mikura, after the death of her grandfather – her caregiver and business partner – sets out in a seaplane to deliver a package to the floating island of Erekitetou. What becomes a simple mission, to continue her father’s inter-island postal service in Okinawa, becomes a soul-consuming desire to locate the island, which floats through the Pacific along the currents, only coming near Okinawa every 3 years. She forgets to eat, develops huge bags under her eyes, and the power gets cut off to her house. All this, in the singleminded pursuit of the great unknown. She’s stubborn to a fault, and slowly detaches herself from the day-to-day life of her small island. I wonder what it is about travel – the thrill of discovery – that leaves such a lasting impression? How can a simple fly-by of an island spark such fervor? My older sister keeps visiting New York whenever she can find a spare dime. I wonder what it is in the nature of certain people that continually propels them to experience new places, and see different ways of living? Why is it that when we travel, we never seem to travel enough? Wow, this is a great post. Can we re-post on the Fifty Fifty site? It’s funny; my family never went abroad when I was a child, and yet now I want to go to so many different places. So far it’s been with friends but I do feel a strange desire to go somewhere on my own for a short while. I’m sure the experience would do me the power of good! I’ve been to Tokyo twice now, and the place never ceases to fascinate me. ‘Immersion’ is a key concept here – the feeling of being ‘somewhere else’ and experiencing a place wholly unlike your home is a strange yet wonderful feeling. Addictive too, it seems. I visited the German city of Bonn recently too, and again it was great to see, hear, smell and taste aspects of a different country. It’s a lovely city; I recommend it. As for the Emanon manga…I think this lovely post has me sold. The way you describe it makes it sound like Mushishi or Kino’s Journey…with a hint of Inio Asano or Hiroki Endo’s ‘grown-up’ gritty realism. The artwork style is very compelling, so thanks for writing about it! My family never went abroad either as a child. I always found this funny, since my family are ultimately from international origins: my dad is British, and my mother is Filipino. Yet, as a family, we never traveled anywhere. I chalk this up to financial constraints, but for me, I’ve always felt that traveling and living abroad was something I was bound to do. Because it was a part of my parent’s lives, I always assumed it would be a part of mine too. I highly recommend traveling alone to anyone I ever meet. There are few experiences I’ve had in my life which were as formative as going to Japan alone. 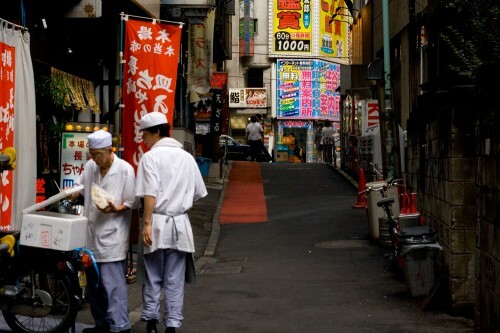 I agree with Tokyo – there’s something deeply alluring about the place to me. I find it funny that you felt that same sense of immersion, too. I loved stepping out of my hostel every morning and sinking into the city’s irreplicable rhythm. Whereas I found London quite cute, and New York quite frenetic, while Tokyo was both of these things there was a sense to me that there were millions of different people’s stories and lives playing out, all settling into and forming the city’s character. It’s a bit of a hard feeling to describe, really. I always felt, walking through the streets of Tokyo, that I could be anyone, doing anything, and no one would know any different. I’ve never felt that way being anywhere else, and I find myself always longing to feel that way again. All of his manga is fantastic. Bateszi recommended me Emanon quite a while ago, but I totally passed it over until now. Much to my chagrin. My first thought upon reading your post was, my this sounds like the exact same premise as Kino’s Travels. I suppose that show is not quite as original as I had assumed. I’d be interested to know if you’ve seen Kino’s Travels and if so, whether you liked it even after reading Emanon. 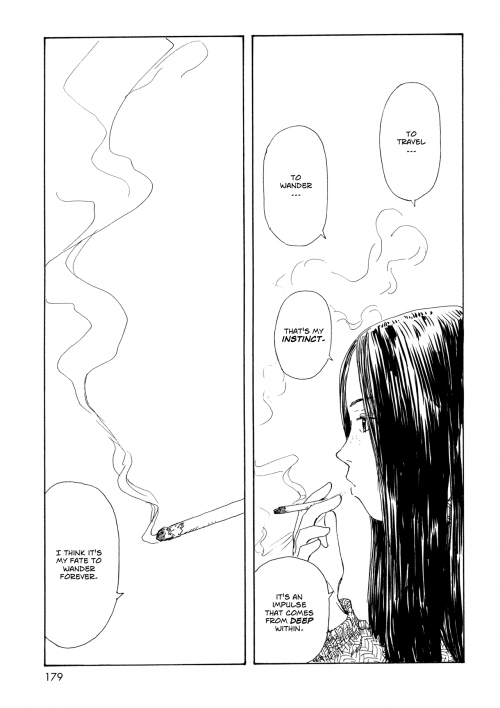 I just stumbled in your blog and found this post based in not one, but two of my favorite manga. And even better, the post is amazing.